Updated, one level living on beautiful Lake Champlain with spectacular views! Well-manicured landscaping and private front and rear yards. Large open floor plan offers many windows for natural sunlight. Enter the spacious living area with stone wall and fireplace, vaulted ceilings with access to the dining area with custom built-ins. Kitchen offers brand new stainless-steel appliances, pantry, large island and windows facing the lake. 3 bedrooms, 2.5 baths, office and studio. Below grade features a spacious family room with a bar, perfect for entertaining. 2 garage bays, newly built boat house with waterfront gazebo, new reinforced cement sea wall, a 70' dock and large private patio. 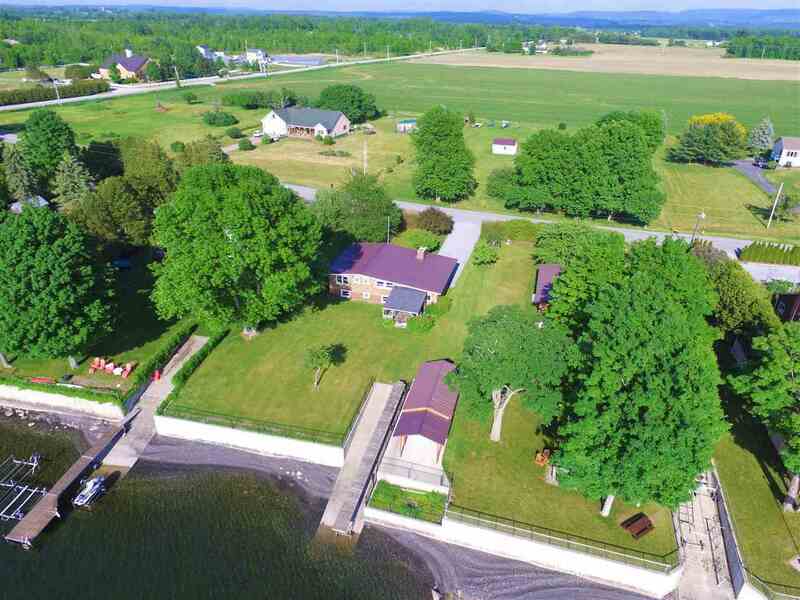 This stunning westerly facing property is move-in ready, so come enjoy summer on beautiful Lake Champlain!